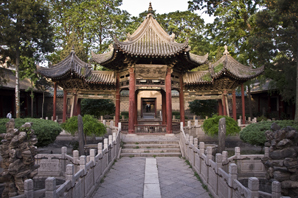 As one of the oldest living civilizations on Earth, China has been developing its culture over millennia and during your visit you might notice that Chinese culture isn’t exactly what you’re used to. What might be culturally acceptable in the West might be taboo in China (and vice versa!) so it’s only natural to feel a bit overwhelmed when visiting China for the first time. To help keep the culture shock to a minimum, we’ve compiled this handy list of cultural do’s and don’ts, as well as a general etiquette guide that’ll help you blend right in when visiting this fascinating country. Handshakes as greetings in China are as common as they are in the West. Do greet others by using a handshake or a nod. Bows are best saved for your visit to Japan or Korea. Do address seniority by an honorific title (family relationship or e.g. &apos;teacher&apos;: laoshi) or by the family name plus Mr. (xiansheng), Ms. (nvshi). Do address the eldest or most senior person first. This is done as a sign of respect to those in a more senior position. Don’t offer too firm of a handshake. 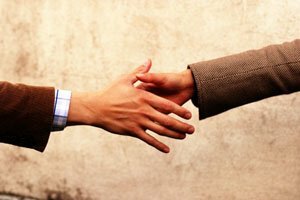 A firm handshake could be construed as a sign of aggression. Don’t go straight for a hug. Especially when meeting someone for the first time. Any body contact, apart from a simple handshake, may make your new Chinese friends feel uncomfortable. Don’t address elders using ‘ni hao’ (/nee haow/). Instead, use ‘Nin hao’ (/neen-haow/ ‘you good’). This is more polite, formal and respectful. If you’re interested in avoiding other do’s and don’ts when communicating in China, take a look at our in-depth guide on Communicating in China. Do join in on toasts. It’s considered polite to join in on each toast and even to stand up during formal gatherings. Do sample all dishes at banquets or formal occasions. It’s considered polite, and at the end of the meal be sure to leave a little on the plate to honor your host’s generosity. Do tap the table when someone refills your tea. The gesture of using two fingers to tap the dining table is used to show thanks toward whoever refilled your tea. Don’t put bones, seeds or other inedibles into in your rice bowl. Use a tissue or your hand to place them in the small plate provided — or observe how others deal with them. Don’t tap your chopsticks. 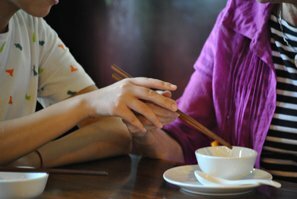 Tapping your bowl or the table with your chopsticks is considered rude and impolite. Don’t use your own chopsticks to pick food from the central dishes. This is typically considered unhygienic. Use the serving spoons or serving chopsticks provided. 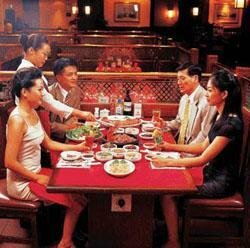 See our article on Chinese Dining Etiquette to learn more about Chinese table manners. When visiting friends in China, it&apos;s common to present your host with a small gift. Do Present and receive things with both hands. This is considered polite in Chinese culture. Do refuse a gift a number of times before accepting it. 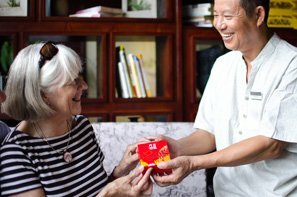 Politely refusing a gift before accepting it is the norm in Chinese culture, so don’t be discouraged when someone initially refuses your gift. Do gift small items like books, music CDs, perfumes, cigarettes and candies from your home country (or a well-known Chinese brand). These are always appreciated and are always well received. Don’t be too eager to unwrap your gift. Unless the person offering the gift insists. It’s considered polite in Chinese culture to open gifts after you or your guests leave. Don’t wrap gifts using black or white wrapping paper. Choose festive colors, such as red, instead. Don’t gift clocks or other symbolic items. Clocks and things related to the number four are associated with death in China, and sharp objects symbolize the severing of relationships. Not sure what to gift your new Chinese friends? Our guides on Gifts for Men and Gifts for Women have you covered. 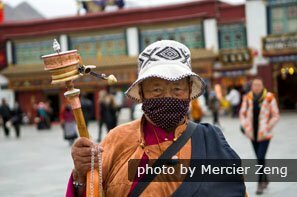 Don&apos;t photograph elders in Tibet without permission. Do walk in a clockwise direction when touring a temple or monastery. Do take off your hat when entering temples. This is done as a sign of respect. Do donate a few yuan to religious beggars. This is considered an act of merit in Tibetan culture. Don&apos;t photograph old folk without permission. It&apos;s often assumed that a request to photograph them is an offer to pay – the same in some places on the Silk Road. Don&apos;t touch a Tibetan on the head. Tibetans believe that God resides in your head and may be offended by this gesture. Don&apos;t dip your fingers in the yak butter lamps in temples. You may be tempted to taste the butter but this is highly offensive, not to mention unhygienic and a health risk. If you’re interested in learning more about Chinese temple culture, be sure to check out our guide, How to Visit a Chinese Temple or join us on our popular 7-Day Tibet Discovery Tour by Train where you’ll be surrounded by spectacular scenery while travelling via the world’s highest railway. Do maintain gender separation in mosques. This is very important in Islamic culture, and you shouldn’t even shake hands with the opposite gender. Do cover up when visiting mosques. As a minimum, you should cover your arms to the elbow and your legs above the knees. Do cover your head with a scarf. Women are required to wear headscarves when visiting mosques. Don’t ask sensitive questions. Sensitive topics such as relations between the various ethnic groups and the governments should be avoided. Don’t assume that alcohol and cigarettes are permitted. This is usually not the case. It’s best to ask first if you’re unsure. Don&apos;t bring non-halal items into a Muslim restaurant/home (our guide can help if you&apos;re unsure). Thinking of travelling to the Silk Road? Be sure to check out our Silk Road Travel Guide, or if it’s your first time visiting China, our 13-Day Beijing- Xian- Dunhuang- Urumqi- Shanghai Tour incorporates a visit to the Silk Road with other popular Chinese highlights. Chinese people are just as proud, if not prouder, of their country as visitors are of theirs. They can understandably become a little irritated when visitors favor with criticisms of China. Would you be happy to hear criticisms of your home country? Chinese people already know that not everything’s perfect, and they also know that they, like other countries, are working hard to deal with issues such as the environment and the population. Discussions regarding politics, state leaders, recent history, and issues pertaining to Taiwan, Xinjiang and Tibet are still seen as sensitive topics, and should be avoided. Do not overreact when a local asks personal questions. What might be regarded as a personal question in your country could be a perfectly normal, and valid question in China. Don’t act shocked if your new friends start asking you questions regarding your marital status, family, age, job or income – they’re asking such questions in an attempt to seek common ground and start or keep the conversation going. If you don’t feel comfortable answering a question, let the person you’re talking to know. Just as there’s no need to overreact when asked such questions, there’s no need to answer a question that makes you feel uncomfortable. Keep calm when dealing with government officials and void making situations unnecessarily tense. An angry or upset foreigner sticks out like a sore thumb and draws unnecessary attention. Not only that, but raising your voice or getting angry is considered a loss of face in Asian culture, and China’s no exception. 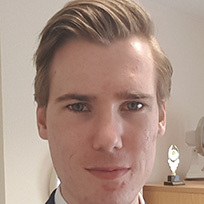 Getting frustrated will help with nothing but creating a losing-face situation for everyone involved, and there’s few things worse than causing someone to lose face among their peers. Never write in red ink. Red ink is a symbol of protest or criticism, and best saved for teachers correcting students’ homework. Another reason as to why you should never write in red ink, particularly when writing someone’s name, is that red ink is used to mark the names of criminals condemned to death in official records, and to write their names on their tombstones. Need another reason? Red ink is sometimes used to convey bad news – such as somebody passing away or a breakup letter. The best thing you can do is to avoid using red ink all together, the last thing you’d want is to upset your new friends by writing them a thank you letter in red ink! Punctuality is considered a virtue in China (despite the fact that Chinese people are, on average, 10 minutes late for their engagements!). Being on time is a sign of respect toward others. Chinese people may show up earlier to show their earnestness, but be wary of the situation. Showing up early to a meal you were invited to can be considered impolite, as it may give the impression that you’re hungry and eager to eat. Being on time for your tour or at any other time shows respect for the guide, and for fellow travelers. 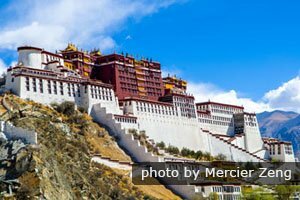 The Potala Palace is a symbol of Tibet, where the do&apos;s and don&apos;ts are very different. To plan a trip, see our Tibet Travel Guide. Getting ready to visit this culturally rich country for the first time? 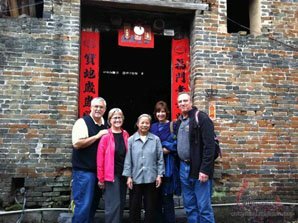 Get in touch with our local experts and they’ll help you create your very own customized trip so that you can enjoy China your way. 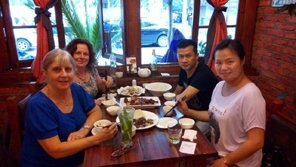 Our knowledgeable travel advisors and local tour guides will ensure you avoid the above cultural do’s and don’ts, minimizing the culture shock and maximizing your enjoyment. Classic Wonders — An 11-day private tour covering the Golden Triangle cities combined with the classic wonder that is Guilin. 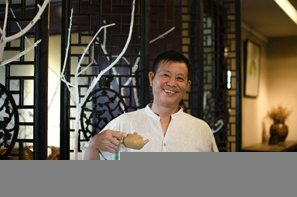 A Broad Taste of China — Our 13-day private tour offers an in-depth discovery of Chinese cuisine, from North to South. A must for food lovers! 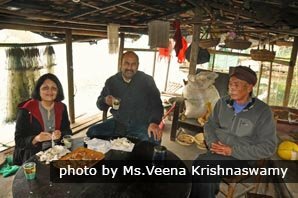 Silk Road Ethnic Minority and Religious Exploration Tour — A 9-day exploration tour of the Silk Road’s ethnic minorities and religious sites. China Culture Relics Classic Tour — Experience the most authentic parts of China in a 9-day cultural relic highlights tour. 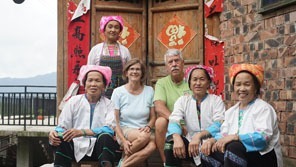 Guilin Scenic and Countryside Discovery — Immerse yourself in timeless beauty and tradition on this 4-day tour of Guilin.